Voor zo lang als het duurt…. 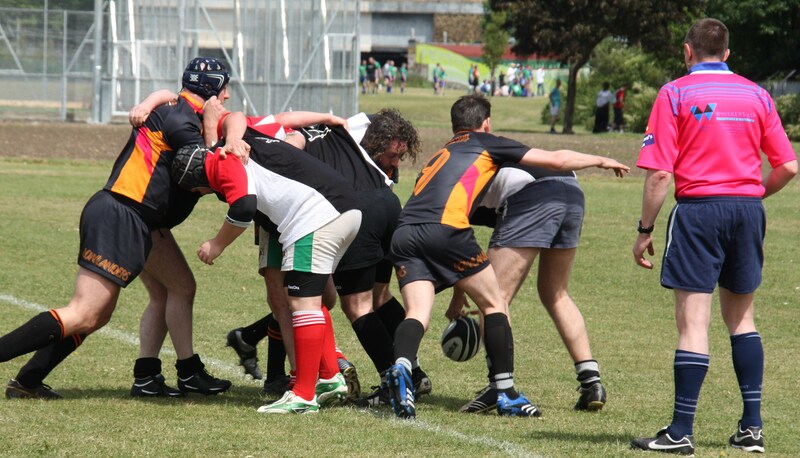 via @pietjuh: Mooie dag rugby in ‘s-Hertogenbosch georganiseerd door The Dukes. Having swept all before him in the Magners League since joining Edinburgh in the summer of 2009, Tim Visser today excelled on the international stage, scoring a sensational double on his Barbarians debut as the invitational side completed a comeback victory over England at Twickenham. It was the perfect way for the winger to celebrate his 24th birthday and to complete a season that has seen him break the record for the most individual tries in a Magners League campaign, win a place in the competition’s Dream Team for the second year in a row, and make the shortlist for the tournament Players’ Player of the Season. Vissser, sporting his Edinburgh socks, was part of a stellar backline that featured such talents as Benoit Baby, Mathieu Bastareaud, Frederic Michalak and Ruan Pienaar, and this combined class duly told in the second half as the Baa Baas turned around a 10-point interval deficit to win 38-32. Visser’s first score was his team’s third, and gave them the impetus to push on for victory. Tries from George Smith and Joe van Niekerk followed, before England nudged back in front again. But that man Visser was on hand to provide the afternoon’s last try and complete a fantastic turnaournd in the final minute. 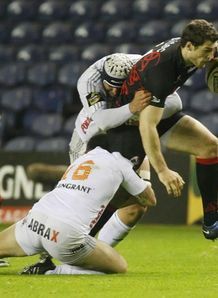 He told www.edinburghrugby.org: “It was a fantastic feeling just to be selected for a side as prestigious as the Barbarians, so to come away with such a great result from both a team and personal point of view is absolutely brilliant. “We had to hang tough, because England really went at us in that first half and then again when we’d got ourselves in front, but the spirit had been great in our camp all week and that showed in the way we played. Visser recently delighted the Edinburgh support by committing the prime years of his career to the club through a contract extension. His next involvement with the capital side is likely to come in the pre-season friendlies against Sale Sharks at Edgeley Park (Friday 19 August, kick-off 7.45pm) and Newcastle Falcons at Murrayfield on Friday 26 August (kick-off 7.30pm). The Murrayfield clash will see the first outing of a series of exciting new measures aimed at improving fans’ match-day experience at the stadium. Hier de persberichten en alle informatie. De Rotterdamse Rugby Club (RRC) gaat met ingang van aankomend seizoen het damesrugby aktief verder ontwikkelen. Al jarenlang trainen de vrouwelijk leden van de club onder wisselende – of zelfs zonder – leiding. Vorig seizoen is op zeer plezierige wijze samengewerkt met de dames en leiding uit Delft, maar vanaf juli 2011 krijgen de Rotterdamse rugby-dames een eigen trainer. De vereniging heeft oude rot Michael Patrick bereid gevonden deze taak op zich te nemen. 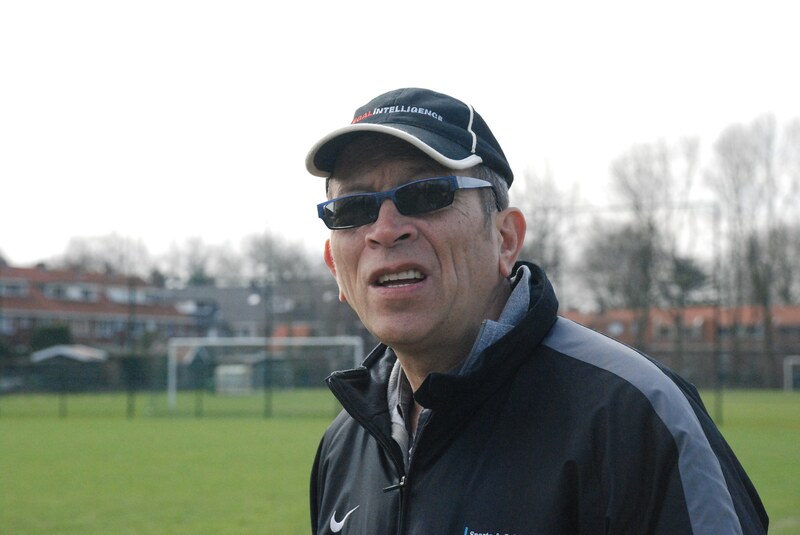 Michael geeft al 42 jaar rugby-training waaronder aan heel wat (mannelijke) top-teams, maar is ook vier jaar lang NRB bondscoach geweest voor het Nederlandse damesteam. Michael is blij met zijn nieuwe aanstelling: "Damesrugby staat dankzij de inspanningen van de NRB momenteel goed in de belangstelling. Heel mooi dat de dames 7's nog steeds in de race zijn om zich te plaatsen voor de olympische spelen. Om aan de top mee te kunnen blijven draaien is toestroom van talent heel belangrijk voor de ontwikkeling van het Nederlandse damesrugby. Dat is uiteindelijk goed voor de club en goed voor de bond." Het bestuur is verheugd met de beslissing van Michael en de aandacht die de dames bij Rotterdam gaan krijgen. De komende tijd hoopt RRC veel nieuwe leden te werven. Hou de berichten op de website van Rotterdam in de gaten, onder meer voor een eerste team-meeting met Michael Patrick. HILVERSUM Oud-Hilversum speler Tim Visser is geselecteerd voor de Barbarians, die het komende zondag op Twickenham opnemen tegen de rugbyers van Engeland. De Barbarians is een rugbyteam voor genodigden, dat al sinds 1890 bestaat. Visser, die uitkomt voor Edinburgh, is de derde Nederlander die deze eer te beurt valt. Eerder speelden Yves Kummer en Tim Schumacher mee met de traditioneel in het zwart-wit spelende Barbarians. De spelers dragen de kousen van hun eigen team. Tim Visser is voor het eerst uitgenodigd voor de Barbarians. De selectie telt twaalf nationaliteiten. Na het duel tegen Engeland volgt nog een wedstrijd tegen Wales in het Millenium Stadium in Cardiff. Edinburgh winger Tim Visser has been named in the Barbarians squad for their match against England at Twickenham on Sunday. Visser, who will become eligible for Scotland selection next year, stands to team up with such stars of the modern game as Doug Howlett, Ruan Pienaar, Carl Hayman, Matthieu Bastareaud, George Smith, Martyn Williams and Sergio Parisse as well as rugby league powerhouse Willie Mason, who will join Toulon next season. The 23-year-old’s selection is reward for his outstanding, and compellingly consistent, try-scoring prowess in two years with the Edinburgh. Visser’s first full campaign in the professional game (2010/11), saw him top the Magners League scoring charts, voted the competition’s Young Player of the Season and selected for its Dream Team. This year, meanwhile, the former Newcastle Falcons man broke the record for the most individual tries in a Magners League season, made the Dream Team once again and was on the shortlist for the tournament’s Players’ Player of the Season. 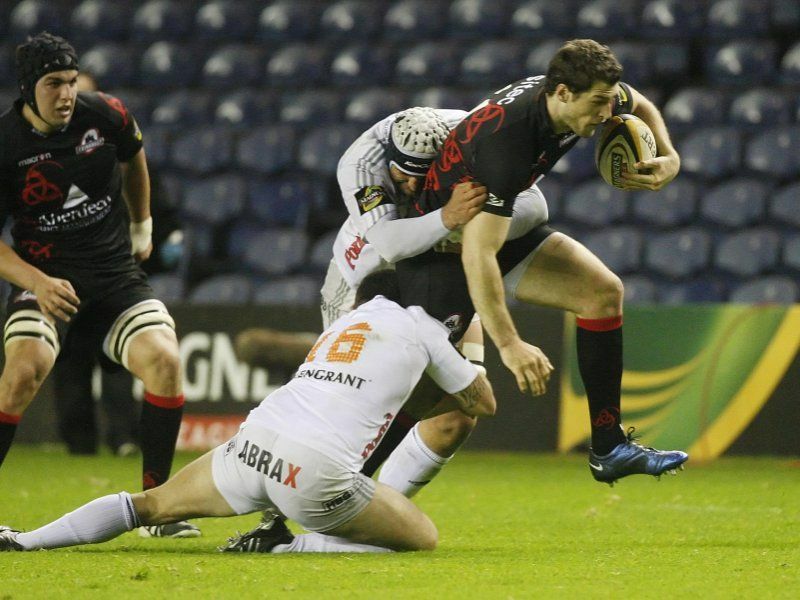 He recently committed the prime years of his career to Edinburgh, signing a two-year contract extension that will keep him in in the capital until at least the end of May 2013. Visser today declared himself “thrilled” to have received the Barbarians call-up, and vowed to “honour the traditions” of the famous black and white hooped jersey, which he will wear in tandem with his Edinburgh socks. “It’s a fantastic privilege to be selected in the squad: you only have to look at the calibre of the names in the group to know how much of an honour this is,” he said. “It’s really inspiring to think about the players who have worn that shirt and the great achievements they recorded in the game. “When you’re growing up and learning about the sport, playing for the Barbarians is one of the things you dream about, so to think it might actually happen this weekend is exciting beyond belief. AMSTERDAM — Canada’s women’s sevens team completed an undefeated run to win the Amsterdam Sevens tournament on Sunday. The team defeated the host Netherlands 26-19 in the semifinal before beating Samurai International 31-12 to take the title. Ashley Patzer scored a pair of tries and added two conversions in the final against the Samurai team. Kelly Russell, Brittany Waters and Marchak scored solo efforts to round out the win. Canada has won all three international tournaments it has entered in 2011 — taking the Las Vegas, Hong Kong and now Amsterdam events. After breezing through opposition Saturday with wins over the Puma Ravens 37-0, Germany 38-7 and the OA Saints 77-0, Canada took down its Sunday playoff pool in similar fashion. Esprit 7, the squad representing France’s national team, fell to Canada 28-5 and in the second match against Brazil the Canadians prevailed 29-7. RUGBY – Vorige week zei Bredanaar Rik Roovers nog dat Allard Jonkers, zijn ploeggenoot bij het Nederlands team, de beste rugbyer van het afgelopen jaar was. Gisteravond werd bekend dat niet Jonkers, maar Rik Roovers zelf tot ‘rugbyer van het jaar’ is verkozen. Voor de tweede achtereenvolgende keer.